Radio Play for CD! Take a peek and call your station. 60+ stations. 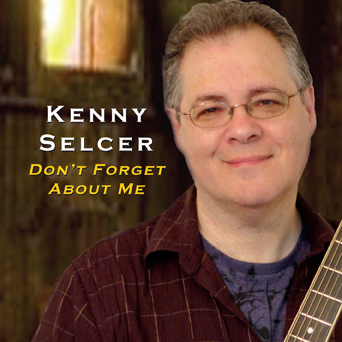 Kenny's Latest Newsletter - photos, gigs, CD reviews, archived music and more! Goin' Home Now. This song is a blend of bluegrass and Americana. It's about the ambivalence of love. Great mandolin playing from Jimmy Ryan. Cool harmonies. Nice bouncy tune that caught the tension between the love of going home and the reality of what's there! Kenny Selcer - all guitars(except where noted), vocals, keyboards (#1,4,7,8,10,12,13,15) bass (#5,6,14), slide guitar, glockenspiel, lap percussion (#7), & incidental percussion. Read review of CD, Click here! Recorded and mixed 6/11 to 12/11. "This is a wonderful CD! It is an excellent collection of well-crafted songs, sensitively presented. Your voice shines, your guitar-playing is perfection, the arrangements are excellent, whether you are playing and singing alone or presenting a song with one or more of your talented accompanists. I’ve enjoyed the album on a first listen, and even more on a second listen. Many of these songs I’ve heard you do live. It’s a very hopeful collection of pieces. The songs go down easily – excellent melodies and chord choices. I hope that this album will get a lot of attention!"